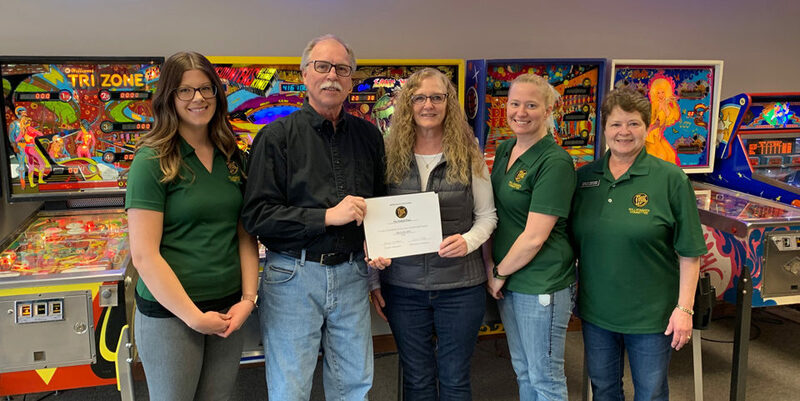 The Willkommen Committee of the New Ulm Area Chamber of Commerce recently visited with participants of the GnomeMade Market to welcome the organization as a new member of the Chamber! The GnomeMade Market began 33 years ago as an effort of MLC wives and grads who wanted to create items and sell them out of their basements. Today the market is a mix of art and folk art, artisan food, upcycled items, painting, knitting, pottery, and more. The GnomeMade Market takes place every year during the first weekend of November, coinciding with New Ulm’s Shopping Opener and deer hunting opener. This year’s event is Nov 3-5, with pre-sale at participating locations on Nov 2. There are 15 fun locations and maps are available at the Chamber Office and online at gnomemademarket.com. 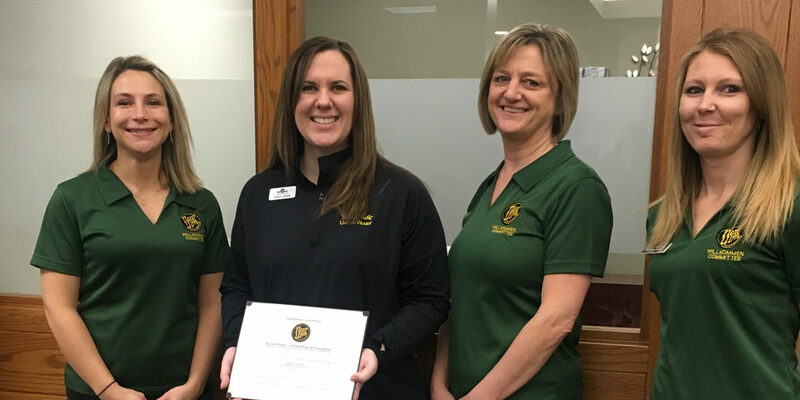 In the photo are: Kim Hanson, New Ulm Real Estate; Mary Jane Glawe, Eva Harder, and Doris Scheibel, GnomeMade Market; Ryan Domeier, Rooms & Rest Furniture.